Shelley is a champion of Canadian creation; recent hallmarks include the multimedia project Life Reflected, and three major new ballets in partnership with NAC Dance for ENCOUNT3RS. He and the NAC Orchestra have made three recordings with label Analekta: Life Reflected, ENCOUNT3RS, and New Worlds. A fourth, The Bounds of Our Dreams, will be released in fall 2018. Alexander Shelley is also Principal Associate Conductor of London’s Royal Philharmonic Orchestra and was Chief Conductor of the Nuremberg Symphony from 2009 to 2017. He has conducted the Rotterdam Philharmonic, DSO Berlin, Leipzig Gewandhaus, Stockholm Philharmonic, and the New Zealand Symphony Orchestra, among others. In May 2019, he will lead the Orchestra on its 50th anniversary European tour. 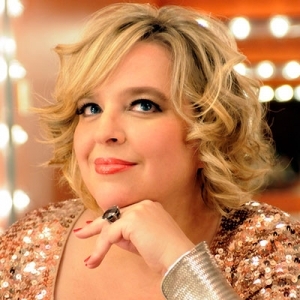 Recognized for her work in the baroque repertoire, Canadian soprano Karina Gauvin also sings Mahler, Bach, Britten, Beethoven, and the music of the late 20th and 21st centuries with equal success. Her exciting 2018–19 season includes dates at Wigmore Hall and Brigham Young University, and with the Manitoba Chamber Orchestra, St. Louis Symphony, Orchestre Métropolitain and Orchestre symphonique de Montréal under the baton of Claus Peter Flor. She has appeared numerous times with the NAC Orchestra, most recently singing Mozart with the ensemble in 2017. Karina Gauvin has previously sung with the world’s greatest symphony orchestras, including the San Francisco Symphony, Chicago Symphony, New York Philharmonic and Rotterdam Philharmonic, as well as baroque orchestras such as Les Talens Lyriques, the Venice Baroque Orchestra, Accademia Bizantina, Il Complesso Barocco, the Akademie Für Alte Musik Berlin, the Tafelmusik Baroque Orchestra and Les Violons du Roy. Also celebrated for her opera work, she has performed at the Théâtre des Champs-Elysées; with Opéra National de Bordeaux, the Bayerische Staatsoper and De Nederlandse Opera; at the Glyndebourne Festival; with Les Talens Lyriques; and for the Boston Early Music Festival. In the 2018–2019 season, Boulianne will return to the Royal Opera House, Covent Garden to sing Marguerite in La Damnation de Faust. She will also make her debuts with Opéra National du Rhin and Opéra National de Lorraine, and returns to Opéra de Québec to sing Charlotte in Werther. In concert she appears with the Deutsches Symphonie-Orchester and The Netherlands Philharmonic Orchestra. 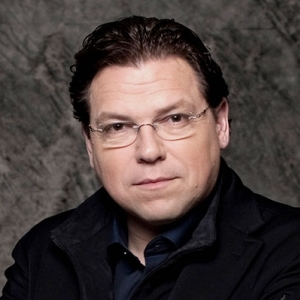 Hailed as one of the world’s leading tenors, German-Canadian tenor Michael Schade performs on every major opera stage and in the most prestigious concert halls of the world. His immense concert repertoire ranges from Bach’s Cantatas and Passions to Mahler’s Das Lied von der Erde, in prominent venues such as the Musikverein, Konzerthaus and State Opera in Vienna, the Concertgebouw Amsterdam, Carnegie Hall, Lincoln Center, Wigmore Hall, Verbier Festival, Schubertiade Schwarzenberg, Grafenegg Festival and Salzburg’s Mozartwoche. As one of the favourite artists of the Salzburg Festival for almost two decades, Michael Schade has appeared in new stagings of half a dozen operas. He frequents the Metropolitan Opera, the Munich Opera, the Canadian Opera Company and the Vienna State Opera, where he has performed all of Mozart’s and Strauss’s leading roles. Appearances with the NAC Orchestra include his debut in 1989, the 2008 Black and White Gala and a summer concert in 2010, where he sang Mozart arias. Praised for his “nobility and rich tone,” (The New York Times) and his “enormous, thrilling voice seemingly capable... [of] raising the dead;” (Wall Street Journal), bass-baritone Dashon Burton has established a vibrant career in opera and recital, and with orchestra. He is a frequent guest with Philharmonia Baroque, Boston Baroque, the symphony orchestras of Cleveland and Indianapolis, and the Royal Stockholm Philharmonic. Burton is a regular guest with the Cleveland Orchestra and Franz Welser-Möst, most recently appearing on tour in Europe and Japan in Beethoven’s Symphony No. 9. In the summer of 2018 he opened the Grant Park Music Festival in Chicago’s Millenium Park singing Walton’s Belshazzar’s Feast and made his debut at the Salzburg Festival in Salomé. In Burton’s 2018–19 season he debuts with the NAC Orchestra, and appears with the Houston Symphony, Philharmonia Baroque and the Los Angeles Chamber Orchestra. He returns to the Cleveland Orchestra for a subscription week of Schubert’s Mass in E-flat major. With the contemporary vocal ensemble Roomful of Teeth, of which Dashon is an original member, he appears in Peter Sellars’ production of Claude Vivier’s Kopernikus : Rituel de la mort in Paris. He appears in recital in Boston and San Francisco. Former conductor of the Vienna Boys’ Choir, Laurence Ewashko celebrates his 30th season of choral activity in the National Capital Region. 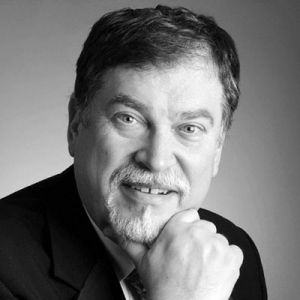 As a choral clinician, vocal coach and adjudicator, he makes a significant contribution to the quality and appreciation of vocal music in Canada and abroad. Ewashko has prepared choruses for many prestigious conductors, including Sir Colin Davis, Trevor Pinnock, Mario Bernardi, Gabriel Chmura, Jane Glover, Jack Everly, Pinchas Zukerman and Alexander Shelley. He regularly prepares choruses for performances at the National Arts Centre. Recent highlights include his work as chorus master for two exciting projects involving Canadian composers and the NAC Orchestra: a live recording of Ana Sokolović’s Golden slumbers kiss your eyes..., and the revival of Harry Somers’ opera Louis Riel as part of Canada 150 celebrations. 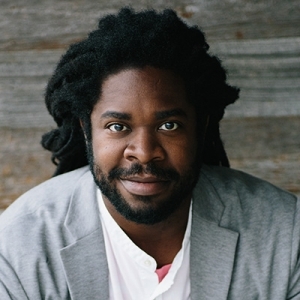 Recently appointed Full Professor of Choral Studies at the University of Ottawa, Laurence Ewashko conducts the School of Music’s two choirs. He has been chorus master and vocal coach for the Banff Centre's summer programs and was the music director of the Cantata Singers for 17 years. He also conducted Opera Lyra Ottawa’s chorus from 1988 to 2015. He is a recipient of the prestigious Leslie Bell Prize for Choral Conducting. One of Canada’s most prominent large choral ensembles, the Ottawa Choral Society (OCS) regularly appears with the NAC Orchestra, partners with Ottawa’s Chamberfest, and shares a proud tradition of collaboration with the Ottawa Symphony Orchestra. The choir engages Canada’s most distinguished soloists and Ottawa’s leading instrumentalists in its annual subscription concerts and provides a professional platform for prizewinners of its New Discoveries Auditions. The OCS season continues in November with Benjamin Britten’s profound War Requiem under the baton of Maestro Alexander Shelley. To celebrate the festive season, the choir appears with the world-famous King’s Singers in a pair of Chamberfest holiday concerts directed by Jean-Sebastien Vallée. In March, the genius of the High Baroque is explored with Bach’s dramatic treatment of the St. John Passion featuring a stellar cast of soloists and orchestra. The season concludes with Carl Orff’s electrifying Carmina Burana in May, and a June concert of music that the choir will take to Russia and the Baltic countries on its sixth international tour. The OCS is directed by Jean-Sébastien Vallée, conductor of the renowned choir of the Church of St. Andrew and St. Paul (Montreal), and Director of Choral Studies as well as Chair of Conducting at McGill University’s Schulich School of Music. 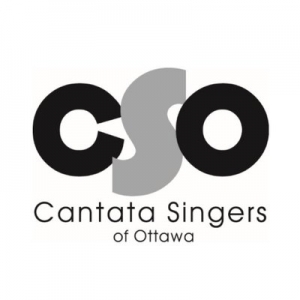 Cantata Singers of Ottawa (CSO) is known across Canada as a versatile and skilled choral ensemble. The choir has performed at the NAC every year since its opening in 1969. It also presents an annual concert series with repertoire ranging from classical to contemporary, from Canada and around the world. On November 3, the choir’s 55th season begins at the Canadian War Museum with a multi-media concert entitled The Eleventh Hour, a new work by Andrew Ager commemorating the 100th anniversary of WWI Armistice Day. Other season concerts are Bach Cantatas by Candlelight and Bruckner’s symphonic Mass in E minor. Guest appearances with the NAC Orchestra this season include Handel’s Messiah and Bach’s St. Matthew Passion. Andrew McAnerney, Artistic Director of CSO, is also Director of the Men and Boys Choir at Christ Church Cathedral, and Artistic Director of the Studio de musique ancienne de Montréal. A music graduate of Oxford University, he was nominated for the Opus Prize in 2016 and 2017. He has conducted such groups as Ensemble Caprice, Elora Festival Singers and La Rose des Vents. Future engagements include performances with Arion Baroque and the Elmer Iseler Singers. The Ottawa Festival Chorus is a select community-based choir comprised of independent choristers and members of many of Ottawa’s fine local choirs. 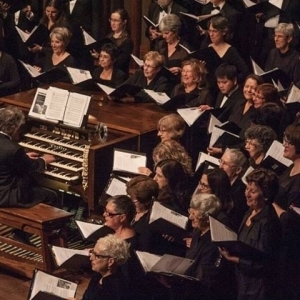 Led by Duain Wolfe and Laurence Ewashko, the Chorus was formed in 2006 and since its inception has joined forces with Ottawa-area choirs to perform major choral works with the National Arts Centre Orchestra, including works by Beethoven, Bach, Brahms, Fauré and Mozart, as well as the world premiere of Malcolm Forsyth’s A Ballad of Canada. They have also appeared in several concerts in the Orchestra’s Pops series. 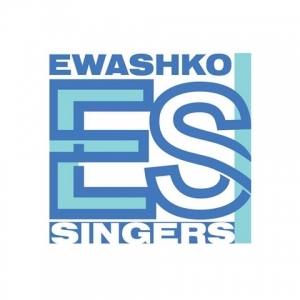 Since their formation in 1992, the Ewashko Singers have developed into one of the most flexible vocal ensembles in the National Capital Region. From Beethoven, Mahler and Verdi to Richard Rodgers and Howard Shore, they skillfully perform music across a wide range of genres and languages. In addition to their own concert series, the Ewashko Singers regularly collaborate with other choirs for performances with the NAC Orchestra. This season will include performances with the NAC Orchestra in their Pops series, as well as Britten’s War Requiem, Handel’s Messiah and a concert version of Mozart’s The Marriage of Figaro. Tobi Hunt McCoy is enjoying another year as Season Stage Manager with the National Arts Centre Orchestra. In past seasons, Ms. McCoy stage managed the Lord of the Rings Symphony, Mendelssohn’s A Midsummer Night’s Dream with Christopher Plummer in 2001 and Colm Feore in 2014, and much of the Orchestra’s educational and Pops programming. 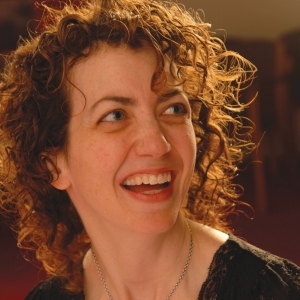 In 2014, she co-produced the Pops show On the Air with Jack Everly for the Edmonton Symphony Orchestra, a show they produced in 2007 for the NAC Orchestra. Additional professional duties have included cheering on Luke and Princess Leia with Charlie Ross, Émilie Fournier, and Eric Osner during the Star Wars Pops concert; dressing up in 1980's finery for All Night Long – Music of the 80s; bracing the backstage doors against the almighty power of Richard Strauss, Yannick Nézet-Séguin and the air conditioning system at Montreal’s La Maison Symphonique; providing air-guitar support during the Led Zeppelin tribute concert; and duck wrangling for the Mysterioso Pops concert. She is excited to be back teaching English and Drama at Lisgar Collegiate.